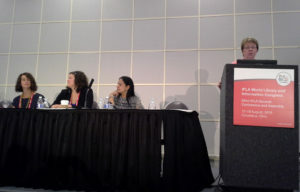 Presenters at “Reclaiming Subject Access to Indigenous Knowledge,” a session during the International Federation of Library Associations’ 2016 World Library and Information Congress in Columbus, Ohio. Natural languages and dialects, specificity of local terms, and community input should all be taken into account when classifying and indexing indigenous materials. 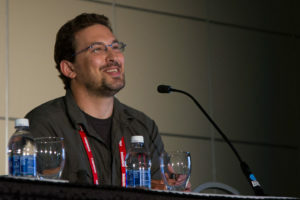 That was the key takeaway at “Reclaiming Subject Access to Indigenous Knowledge,” a session presented Tuesday afternoon at the International Federation of Library Associations’ 2016 World Library and Information Congress in Columbus, Ohio. 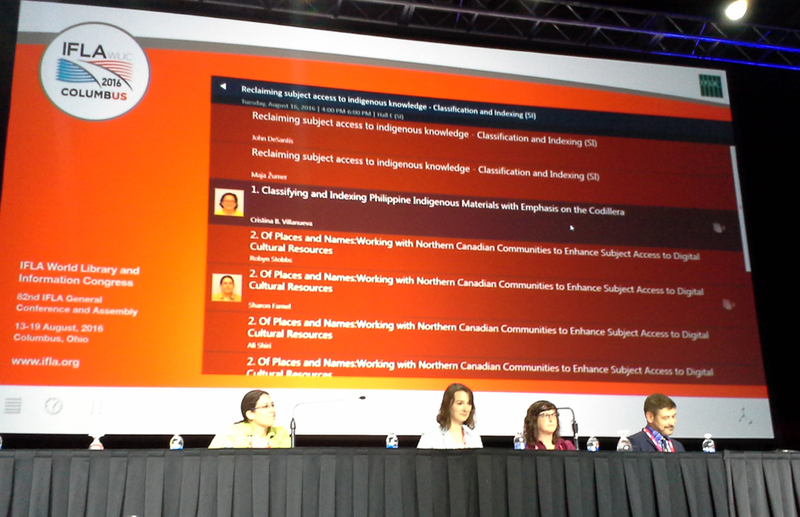 Librarians from the Philippines, Canada, and the United States discussed their research on the barriers to accessing indigenous materials, ideas to modify metadata and subject headings, and obstacles to implementing new cataloging and classification systems. Cristina Villanueva, librarian at the University of the Philippines Baguio, presented her findings on classifying and indexing Philippine indigenous materials, with a special emphasis on the Cordillera Administrative Region, “home to largest concentration of ethnolinguistic roots” in her country, she says. 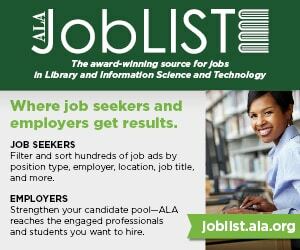 Villanueva noted that while it’s her university’s cataloging policy to use the Library of Congress classification scheme, the Library of Congress subject headings (LCSH) are limited and ineffective when applied to the Cordillera Studies Collection Library. Other problems with LCSH that Villanueva noticed are the tendency to apply terms that are Americo-centric or too general (such as “rites and ceremonies” and “manners and customs”) and the lack of spelling variations for the same term (such as Ibaloy, Ibaloi, and Nabaloi). Overall, “much more needs to be done,” says Villanueva, who suggests that subject authority lists should be revised and updated by local authorities with collaboration from subject field specialists. 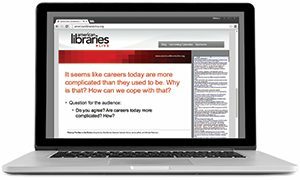 She also says it’s important that catalogers are in direct contact with the users—evocative of the user-centric approach popularized by Charles Ammi Cutter. Christine Bone, cataloging librarian at the University of Manitoba Libraries in Canada, also spoke to the shortcomings of LCSH and the modifications her group made to an archives database to improve access to Manitoba-specific indigenous materials. Bone’s group started its project by identifying problematic headings, and debating and analyzing these terms, with consultation from First Nations communities. Changes included updating the word Indian to indigenous and replacing the term mythology with spirituality in headings. Ultimately, decisions had to remain internally consistent and “fit back into” the LCSH framework, says Bone. “We’re hoping people can use [our changes] as a springboard in their own local communities,” she says. Sharon Farnel, metadata coordinator at the University of Alberta Libraries, described the three-year, grant-funded Digital Library North (DLN) project serving the Inuvialuit Settlement Region (ISR), and its goal of enhancing indigenous subject access across a remote 91,000-square-kilometer region in northern Canada that has rich culture, language, and history but limited resource sharing. DLN set out to create a culturally appropriate metadata framework driven by community needs and interests. The project involved three phases: an information audit that sought to answer who uses the collection and why as well as what materials users request and how; an analysis of literature that sought to balance metadata localization with interoperability; and community input on metadata, including names of people and places, variant forms and spellings, contributor roles, and the enabling of map-based access. Wrapping up these case studies with a bit of theory was Heather Moulaison Sandy, assistant professor at the School of Information Science and Learning Technologies at the University of Missouri. Sandy presented on the “moral imperative” of subject access as a means to promote nondiscrimination, and touched briefly upon the shortcomings of LCSH, Universal Decimal Classification, and Dewey Decimal Classification. She also spoke to the theoretical framework of cognitive justice, wherein to be inclusive and promote healing and forgiveness, systems need to remove traces of colonialism. Sandy gave examples of specialized knowledge organization systems (KOSs), including First Nations House of Learning subject headings, Brian Deer Classification, and the framework of the Lesbian Herstory Archives. She acknowledged that while specialization is philosophically acceptable to a community and most useful, there are challenges to reliability when a framework is created by someone untrained in classification schema. “We propose combining local KOSs with universal approaches in web-based systems,” Sandy concluded.